Beijing, Sydney, Montreal are the cities where Selina Xia lived, and Nanaimo is the place where she calls home. 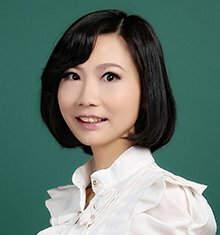 After completing a bachelor’s degree in Business English in Beijing and a master’s degree in Human Resource Management in Sydney, Selina began her career as an English Teacher in China, and published five books on English learning. In the meantime, she worked as a career planning teacher in a university, where she instructed a class in which all the students were survivors of the 5.12 Wenchuan Earthquake in 2008. Helping them step out of depression and find a goal in life was one of the most meaningful jobs Selina has done. After giving birth to her first child, Selina moved to Montreal. One year later, attracted by the mild climate and coastal scenery, Selina and her family moved to Nanaimo, a charming island city. Selina believes that there are two turning points in people’s life. One is receiving right education, the other is to buy and sell right real property at right timing. After turning 30, she found herself equipped with enough knowledge and resource for the later. Today, Selina devotes herself to the real estate industry and helps families realize dreams and build wealth.